There was Hurricane Katrina. The second term of Truthiness began in the White House. Pope John Paul II died. Prince Charles married Camilla. Lance Armstrong "won" again, for the seventh time. There was Terri Schaivo. And bird flu. Hitch. Brokeback Mountain. Mr. & Mrs. Smith. Carrie Underwood. In beer circa 2005, CNN covered RateBeer.com's poll of the top breweries/beers of the world. At that time, AleSmith from San Diego came in at #1, Westvleteren at #4, Dogfish Head #9, and Victory #14. Cantillon was #32, McKenzie Brew House #35, and Triumph #41. "In fact, about the only region thirsting for good brewers seems to be the Deep South. No company there makes it onto RateBeer's Top 50 list. And in many states in Old Dixie, it's a challenge to find any beer besides the mass-marketed varieties." Times certainly have changed that list, particularly where the South is concerned. And, The Brew Lounge was born. It began innocently enough in August/September 2005. Friend, neighbor, and homebrewer Adam Beck asked if I'd be interested in contributing to this blog thing he started. Sounded great to me. I liked beer. I liked writing and communicating. I liked helping inform others about the merits of "different beer". At the time, it went by the name Beer Bits. Get it? Writing about beer on a computer. Bits. Bytes. About beer. Clever. Not much later it became known as The Brew Lounge. I didn't have any master plan for how or what I would contribute or what I wanted to accomplish, even short-term, out of this little venture. But I'd just been to a beer dinner with a group of friends at the famed Monk's Cafe in Philly where Dominique Friart came from Belgium to showcase her St. Feuillien beers. This seemed as good of a way as any to begin. I enjoyed getting into the details of the event, the food, the beer, and the people. With that, a monster was born. Check it out at this link and, if you'd not seen it before, see what you think of my early days of beer writing. If anyone says it's impressive, I'll probably accuse you of fibbing. This review concept struck a chord with me and led me to do similar writeups through the few remaining months of 2005 at Firewaters, World Cafe Live (a Hurricane Katrina benefit), Grey Lodge, Beer Yard (a Southampton tasting), The Black Door (anyone remember this short-lived South Street-area bar? ), The Foodery (when there was only one in the Philly area), and Independence Brew Pub (today the home of Field House across from the venerable Reading Terminal Market). Come to think of it, I wonder if the Firewaters article is where my first "What's On Tap" list came from? Probably. I'll talk more about that in a future installment of this Ten-Year Series. 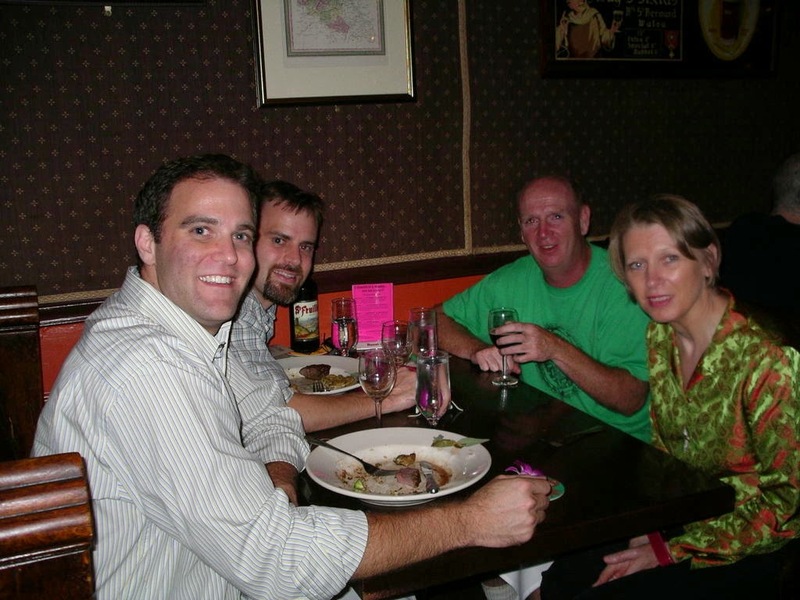 In the remaining months of 2005, I also branched out — as would become a pattern in future years — to Maryland with The Brewer's Art and Dogfish Head Alehouse, to DC with Dave Alexander's RFD (Regional Food & Drink), and a whole lot of NYC. I've since given up the cataloguing, but I'd kept an index for many years of all the places I'd visited across the country and subsequently written about. It's here at this link and you can use it as a jumping off point to explore any of the many dozens of places I've shared with you over the years. Lots of miles, beers, and cheers. I wouldn't trade them in for anything. Forward to "TBL at 10": Part 3"
Been a while since I commented on a blog. Well, now I have. It's been a long strange trip eh! ?